Some people may have a sentimental attachment to a certain thing, to an extent of wanting to harbor beautiful memories about it. There are people who are passionate about saving lives, and what they mostly use are the fire truck souvenir toys. This is a very dangerous path to take, however when one is passionate about something, they will do all that it takes to pursue their dreams. 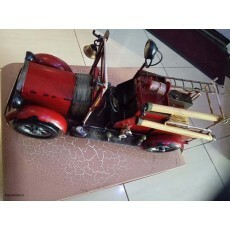 Such a person will want to have an item that can make their house harbor the memories of what they love; the reason why purchasing a fire truck souvenir will be a priority. This is an item that will be put on a cabinet or shelve, mostly to create the center of interest to the people. It should be placed in an area where everyone can see since besides being used to keep a memory of something that one loves, they also are suitable for decoration.